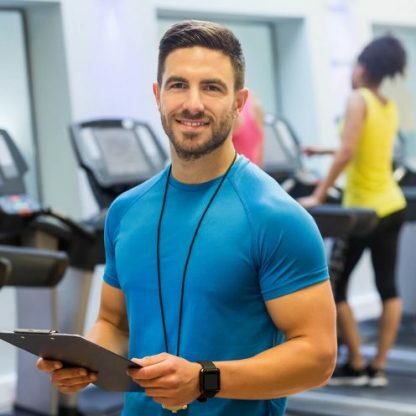 This unique Lifestyle Wellness Coaching Certification course will show a client that is not enough to just create an exercise program for them, but rather to give them specific insights into their individual wellness needs to succeed long term. Using our Lifestyle Fitness/ Wellness Coaching course will enable you as a trainer to communicate, motivate, and support your client IN NEW INNOVATIVE WAYS towards reaching their goals. This self-paced online-mentored class will help you develop the personal skills to lead your clients while opening new revenue streams outside of just exercise training sessions! Your clients will achieve long-term fitness and lifestyle wellness goals for likely the first time ever. The personal awareness techniques will help your clients open their life to the possibilities that they never considered as limiting their results. Lifestyle Wellness Coaching Certification includes 9 hours of video instruction, drills and testing. The W.I.T.S. video lessons will teach you the skills of successful coaching and allow you to practice and build confidence in your coaching relationships as a lifestyle wellness coach. This is the next level in your professional growth to build your personal business and increase your billable hours.